Happy Groundhog's Day! Today I have another Valentine's Day card to share. I love to make valentines - hearts and lace images are some of my favorites. 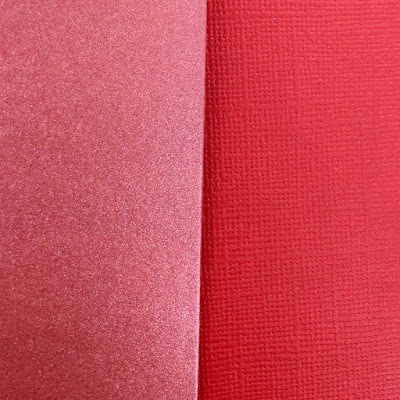 I think one of the best design tools in Cricut Design Space is the "Hide Contour" option. You can take an image and change it by eliminating some of the cutting lines. 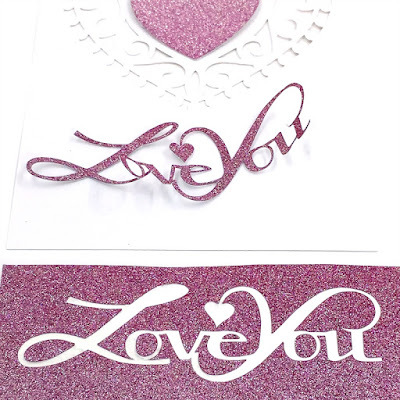 I have used this function frequently to create cards and card toppers that contain an intricate cut out that allows the card base or a liner paper to show through. Back in 2010, I made these cards using "hide contour" in the old Design Studio program. 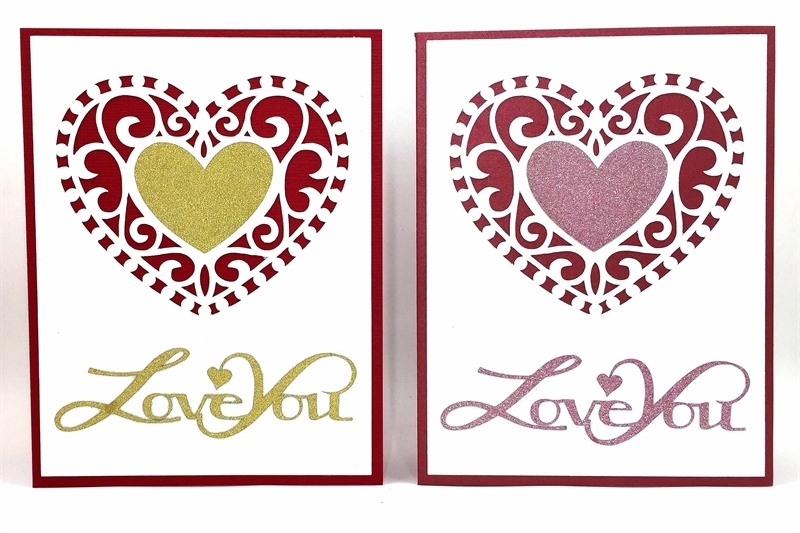 I was able to make two cards by carefully reusing the pieces that were cut out of the red card front on the pink card. You can find the blog post HERE to see how I applied the second design (just remember, the directions for creating the cut were for the older computer program). Here is a screen shot of the card design. 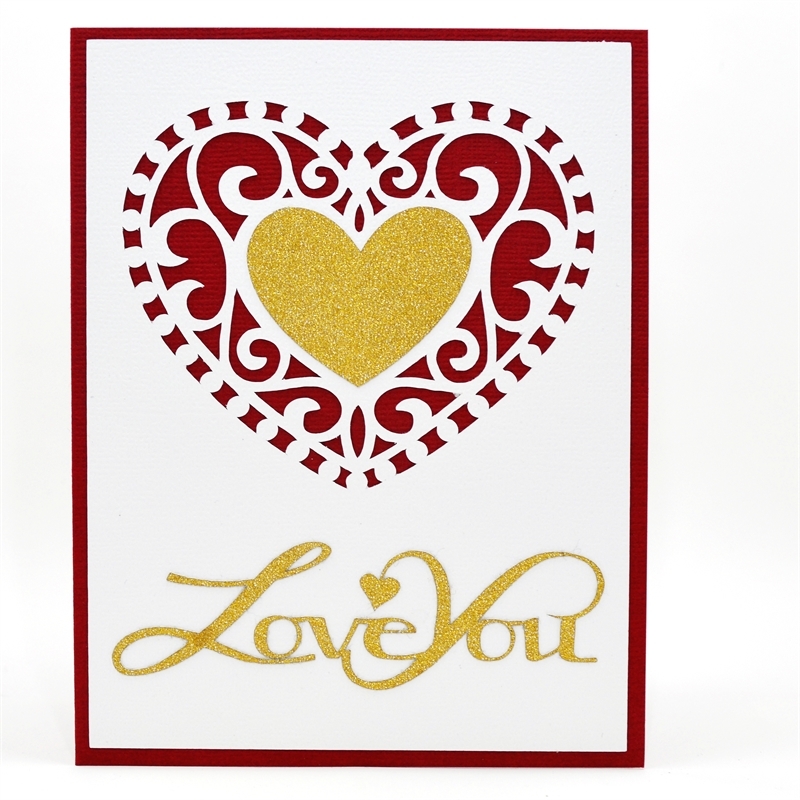 I decided to change the heart at the top to the same gold glitter paper that I used for the sentiment and eliminated the tiny red heart on the sentiment when I put the card together. Sometimes I like to make slight variations of a design by using different cardstock and papers. 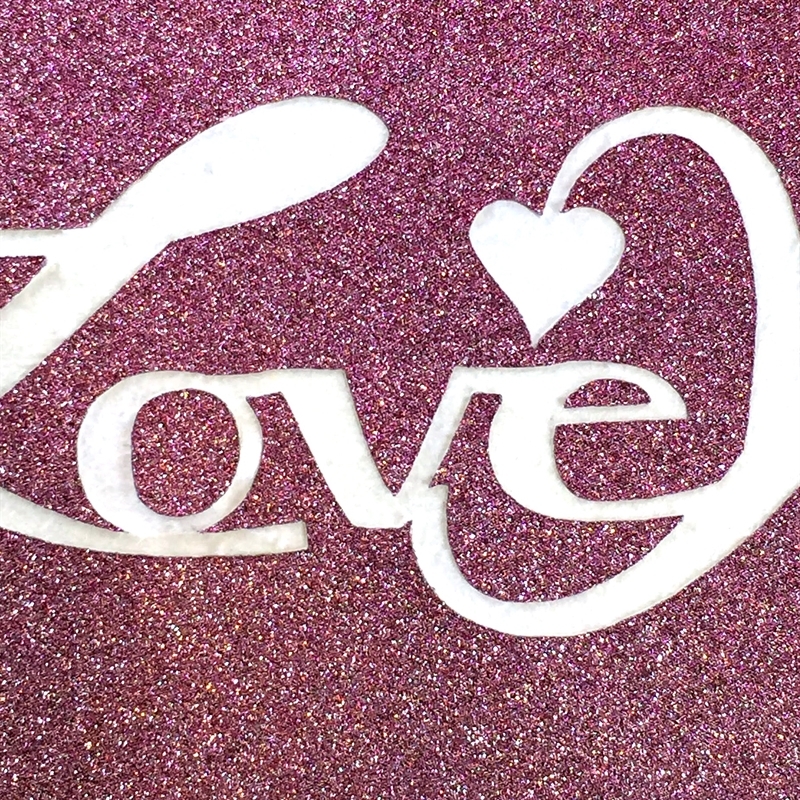 I cut both of the card topper layers in textured white cardstock but changed the sentiment and heart colors. I also used different cardstock for the card base. 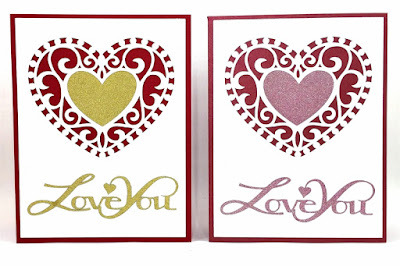 The textured dark red on the right was used for the more traditional first card with the gold glitter and the "ruby pearl" shimmer cardstock for the second card with the pink glitter. 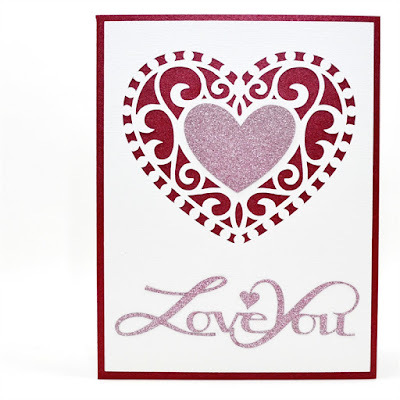 The softer colors give the card a different look - I like both versions, do you? 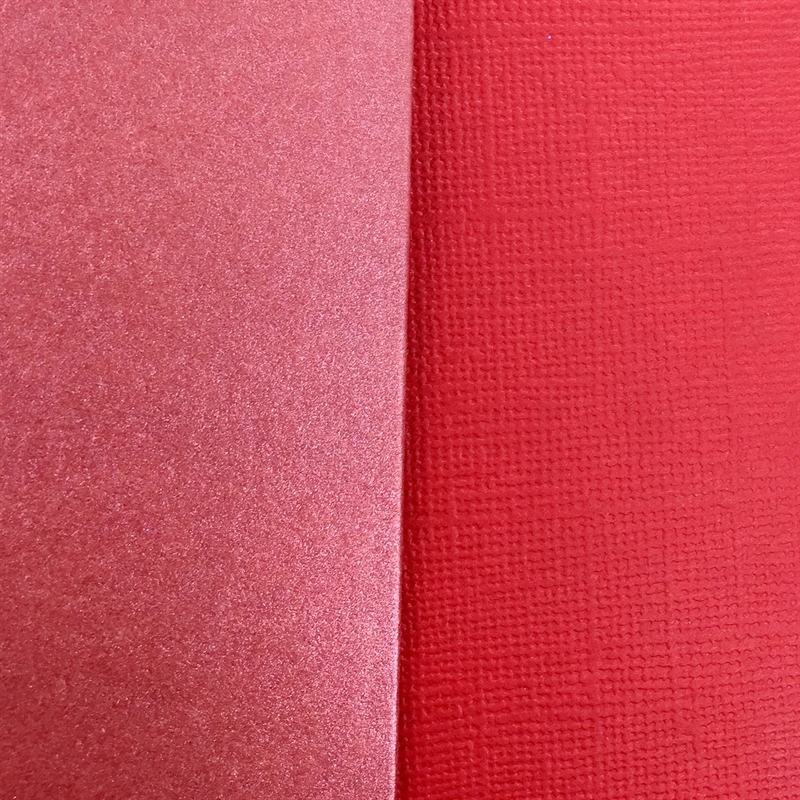 Here are the two cards side by side so you can compare. 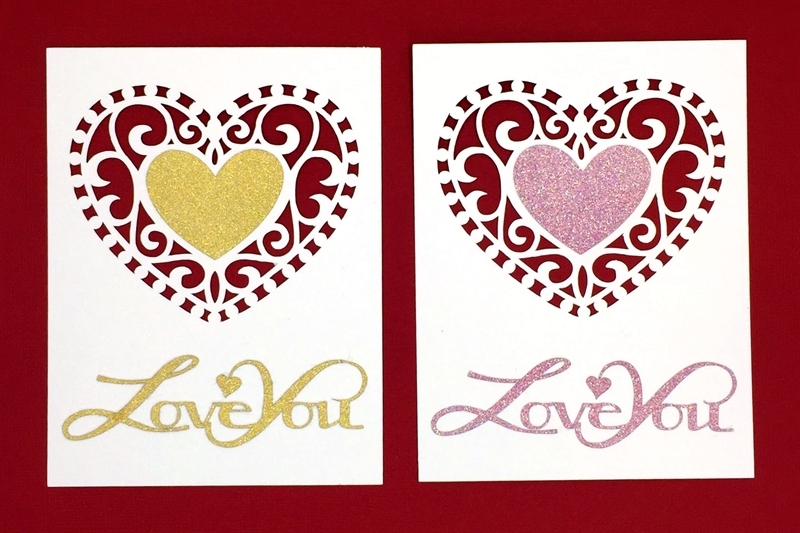 I am particularly fond of shiny and glittery cardstock and paper. 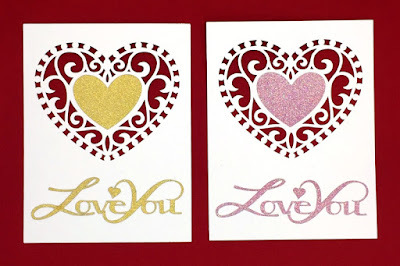 For several years I have been using the type of glitter cardstock that is not made with glitter glued to a base. There are several companies that offer an incredible glitter-like finish that is created by a manufacturing process. 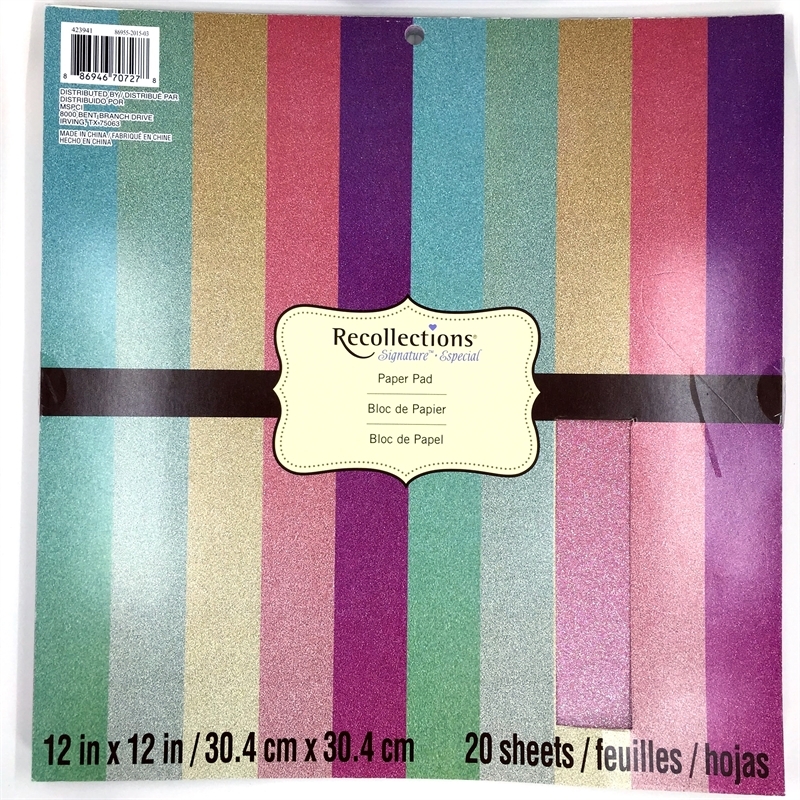 These papers do not leave a glitter mess on your cutting mats. 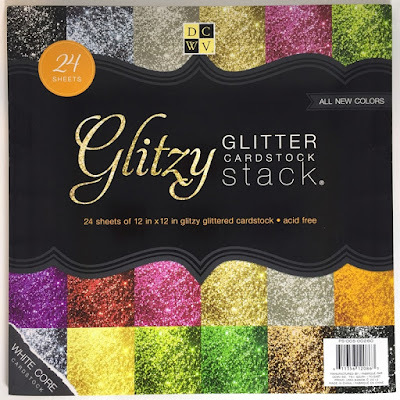 The type that I have used the most is by DCWV - the "Glitzy" or "Dazzle" cardstock stacks. These have a sort of plastic feel to the backing. 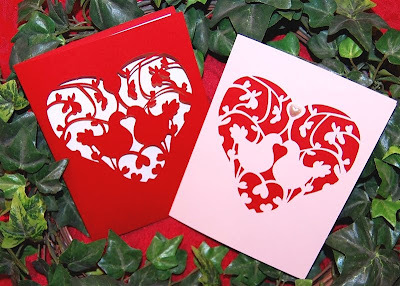 They are thin and cut well on a "cardstock plus" setting on the Cricut Explore. 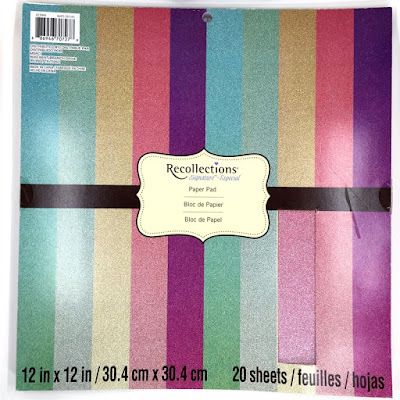 I recently bought this stack of pretty Spring colors at Michael's (their "Recollections" brand). 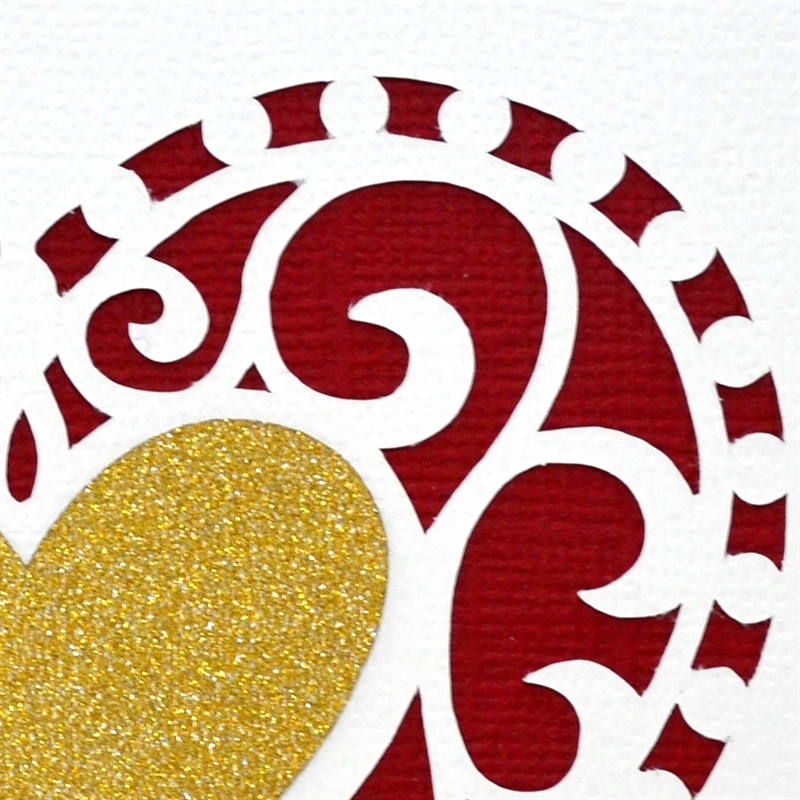 This has the same beautiful sparkle finish but is on a much heavier cardstock base. I forgot to change my setting and discovered that the cut did not go through the full depth on cardstock plus. 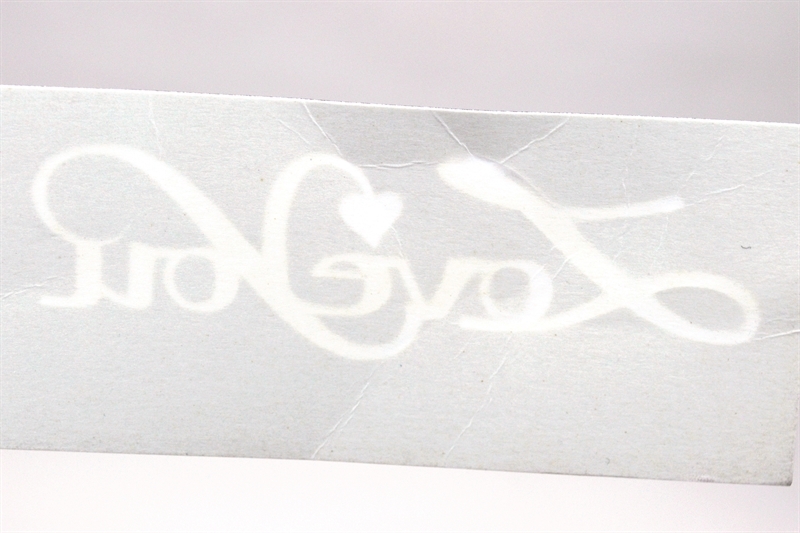 However, I was able to peel up the cut sentiment (almost like cutting vinyl with a kiss cut) and apply it to my card. The thin top layer stayed intact. I'll have to experiment a bit to find the correct setting for this brand. 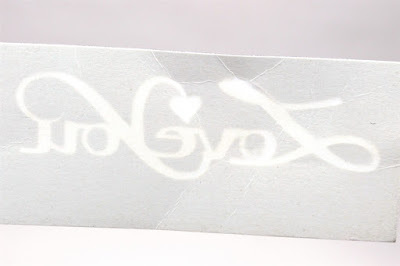 Here you can see the back of the piece of cardstock after I peeled off the glitter cut. I had to bend it a bit to pull away the cut but it worked. I am sharing these photos so you will not just toss a "mistake" cut - it may be salvageable with a little effort. If you look carefully, you can see the paper layer left after I peeled away the sentiment. I wouldn't recommend doing it this way - but it worked! This is the image I used to create the inset design. 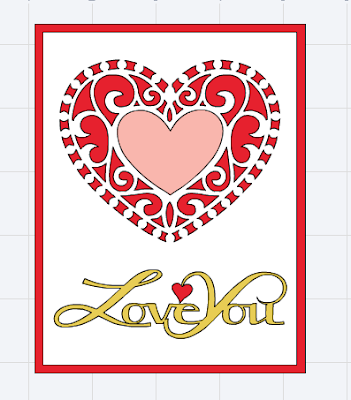 It is the Valentine Locket, design #M39F21. The Design Space file for this card is available HERE. 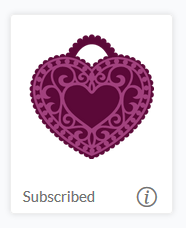 You will need to have access to the Victorian Romance cartridge (included in the Image Library Subscription) and the Lyrical Letters cartridge which is not included in the subscription - you can easily substitute another sentiment that you like. (These are my affiliate links which means that I will earn a commission if you make a purchase from the site - your price remains the same). I will do another post with all of the details on how to create this type of design for those of you who have asked me to show the step by step directions. If you make this card I'd love to see your version! I heard that "Punxsutawney Phil" did not see his shadow this morning - my fingers are crossed for an early Spring! I love your intricate heart cuts very elegant. With design space there is no limit to what you can do. Thanks for sharing. Yes, our Phil predicted an early Spring this year, and as a PA resident, I am very glad to see it! 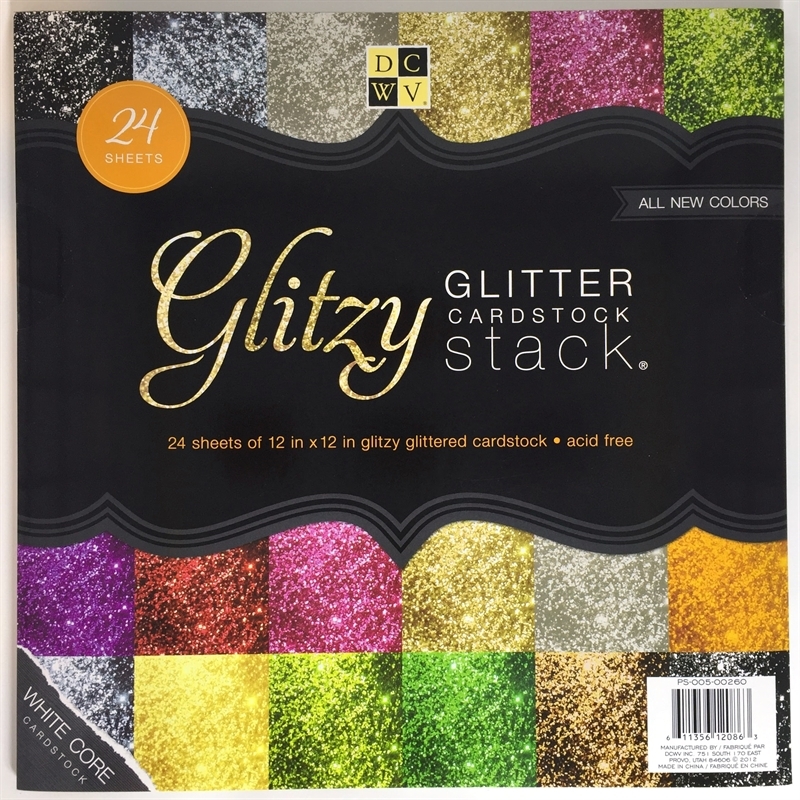 I love the DCWV Glitzy papers and foils too; I will have to look at that package from Michaels, as the colors are very pretty! Thank you. Hi Diane, I'm so glad you're back to blogging, I've missed you. I always enjoy your creations and recreations of the files you use. I'll be sure to come back and see what else you've come up with. Thank you so much for the lesson - I was working with ""hide contour"' a few days ago without success - reading this answered my questions. Thank you so much! I always enjoy your posts and I am so glad you are back to blogging. I always want to say I appreciate the time it takes to keep up your blog, so a huge THANK YOU! 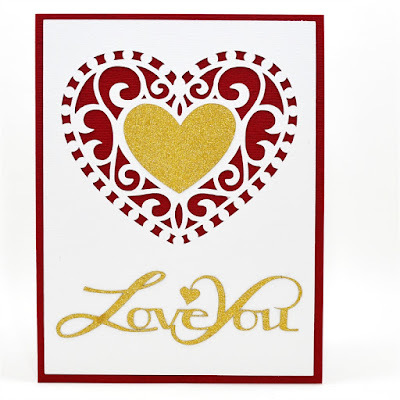 Love your designs and I, like you, love the glitter paper. Hi Diane. Thanks for the image. I love both versions. 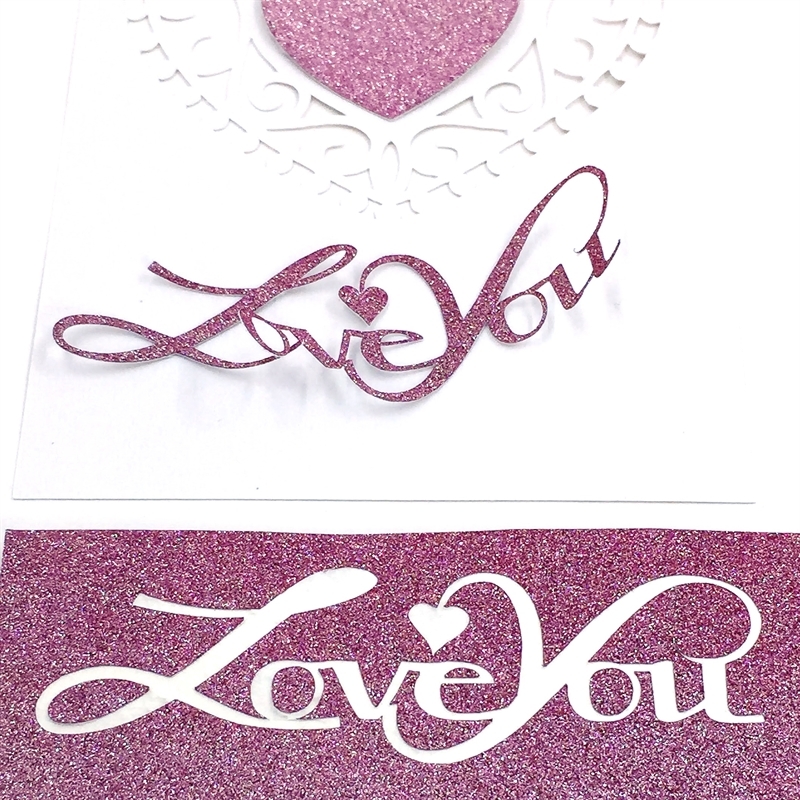 I have found that on the thicker glitter papers I have to do the cut twice; at least. Hi Diane, I just wanted to say that you produce terrific tutorials with the absolute beginner in mind. That's so awesome. I'm forwarding this to my sister who is one of those beginners. Thank you so much for all the work you put into your blog. It is so appreciated. I too am so happy you've started blogging again. Thank you so much for this tutorial! I learned that the explore had the align feature! Never knew that! Thanks for all you do!